Hello and happy Saturday everyone! 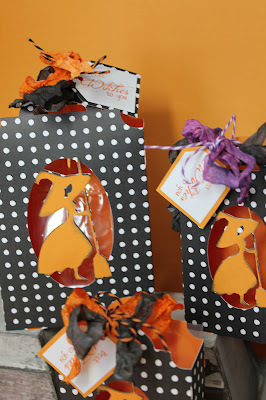 This is GiGi from The Cricut Bug here with some cute Halloween purses to show you . 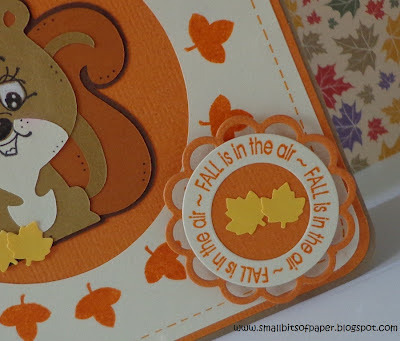 I used the NEW Tiny Doiles Dies and Stampin' Around Fall stamp set to create these. Every year I give my girlfriends some kind of treat bag with Bath And Body Works Mini Hand Sanitizers. So this is my project for this year. 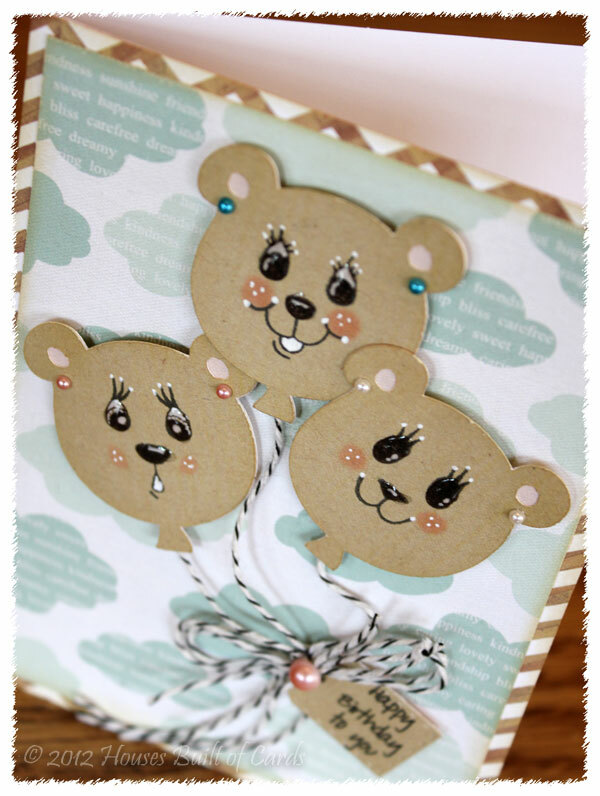 I found this idea on Pinterest and you can find the full video tutorial HERE. I did almost everything the same as her except for: the size of the square, She used a 6 inch square and I used a 6 1/2 inch square to accommodate my mini sanitizers. I still scored everything the same as she did. The only other difference was the top trims...mine were cut at 4 inches wide and I only added 1 of the purse handles instead of 2. 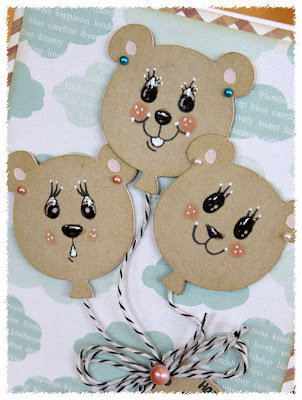 These are SUPER easy to make and I think they are CAUUUTE! After I assembled the purses I added center medallions using My Craft Spot's new Tiny Doilies Dies and the Stampin' Around Fall stamp set. I think my girlfriends are going to LOVE these! Thanks for stopping in today and if you would like to see more pictures and info on this project, please come visit me at The Cricut Bug. Metal Dies back in stock! 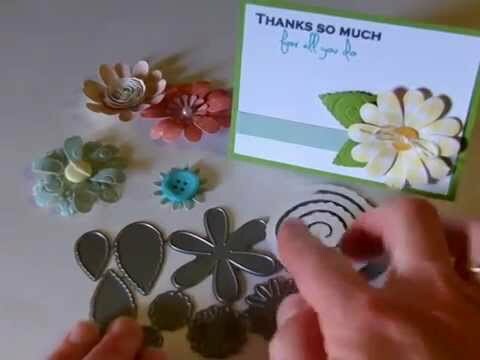 Click HERE to see all of the stamps and metal dies at My Craft Spot. Good morning! 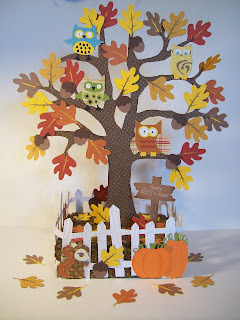 Heather here from Houses Built of Cards - excited to finally be stopping in to share something with you! Yesterday was my sweet daughter's EIGHTH birthday! She is my baby...and I can't believe how fast the past 8 years have flown by! I also was super excited to finally unpack my Cricut - just in time to make her a special birthday card! 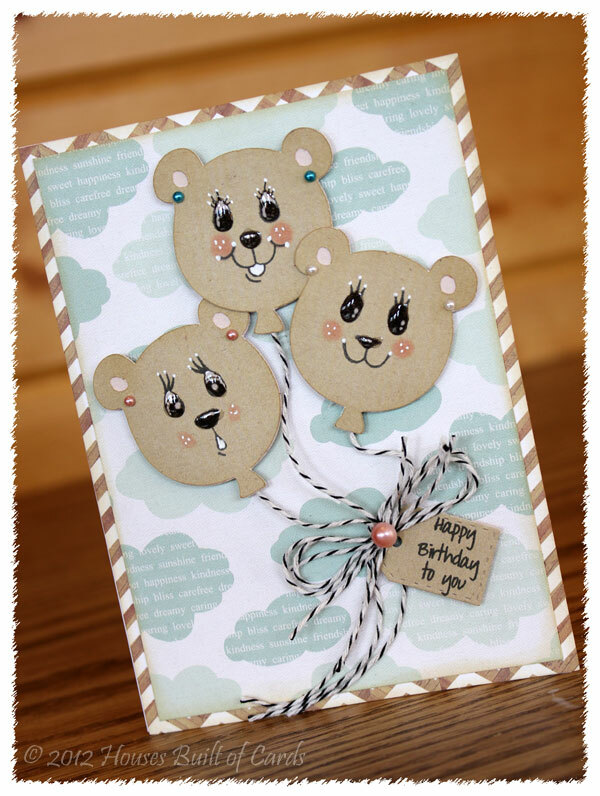 She has always LOVED bears, so it was super fun to make a special bear card for her! I used the original Create a Critter cartridge to cut out the bear balloons, and omitted the string so I could make my own using Baker's Twine. 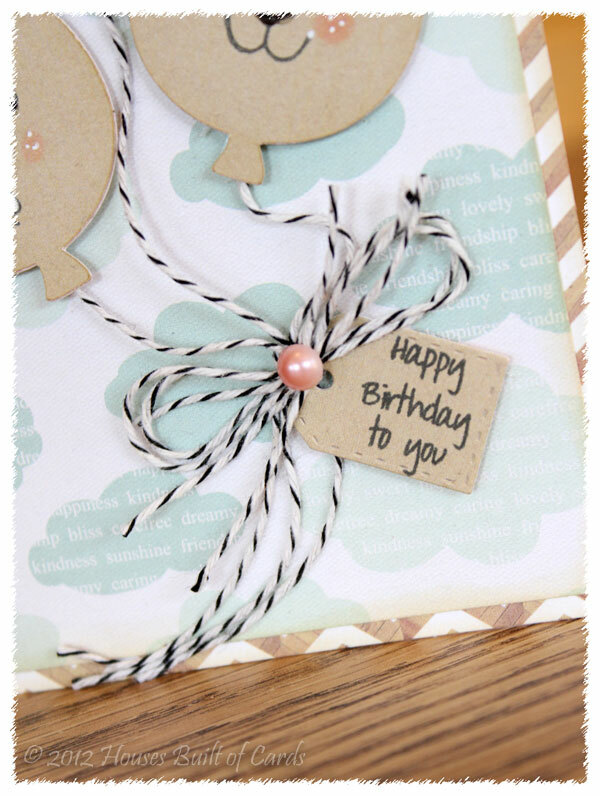 For the balloon strings, I used traditional black Baker's Twine - you can find it at My Craft Spot HERE. I also used the Tiny Tag Dies and matching Tiny Tags stamp set to add to my bow holding the balloon strings together (you can find both those items HERE). I added a tiny pink pearl on top of my bow, and glued the bow down, and also used a tiny dab of quick drying glue to hold the very bottom of the strings to the card - that way I could keep the strings laying the way I wanted them too. Another quick tip is to put a piece of foam adhesive behind the tag to hold it in place, but allow it to still look dimensional. All my papers are from Echo Park 6x6 paper pads from the Eclectic and the Sweet Day line. I inked the edges of everything - including the balloons - using Tim Holtz distress ink in Antique Linen. 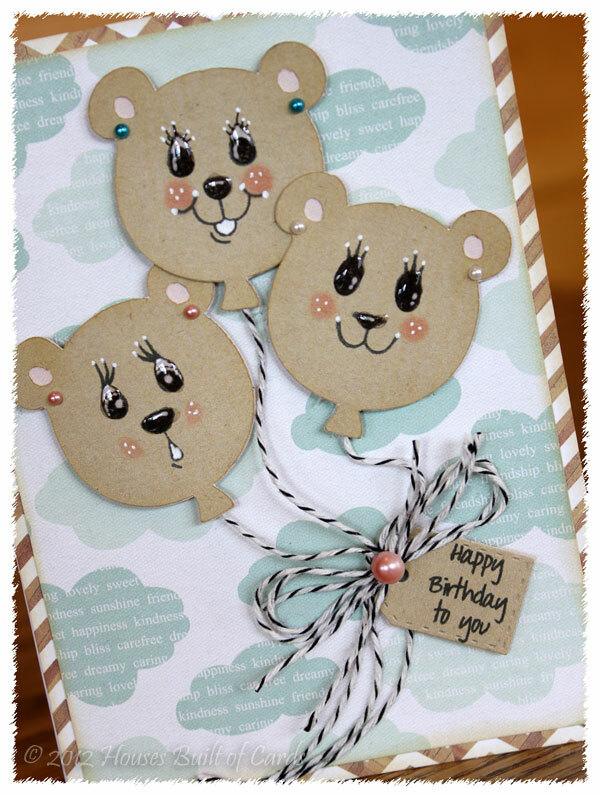 I love the subtle dimension that it gives to finish off a card, without being overwhelming! Definitely my favorite color! I used foam adhesive dots to attach the balloons - also for a bit of dimension, and added some teeny tiny pearls to the ears to give them "earrings." I'm so grateful that she LOVED it!!! It was our first family birthday party in our new home - and I'm so grateful that it was fun and special for her! We had so much fun looking at all of your 'Wild' projects! Thanks for joining the fun!! Congratulations #45 - Mary W.
You won the Spooky Treats Stamp Set! Hi this is Gwen with another fun Halloween project for you, I love all the fun colors and shapes of Halloween and I love giving treats to my friends and neighbors so I make lots of treat containers. 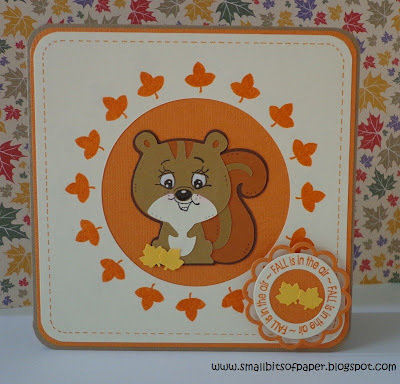 We cut these out of American Crafts Paper, love their paper it is so awesome in the die cut machines. These were cut from the Wrap it up cart at a couple sizes, one was at 8" and the others at 6.25". We sized them in CCR so we could get the witch to fit on the front exactly right. The edges are inked also. The stamped sentiment is from the Best Witches to You stamp set, super cute and fun set. The ribbon and twine is from My Craft Spot also. Check out my blog here. You can see a little bit of the gift bag behind the card. I wanted a tag/card that I could tie to the bag that would match. I cut the flourish from the Art Philosophy cartridge. Both sentiments are from the Happily Ever After stamp set. I love the fonts on this set! 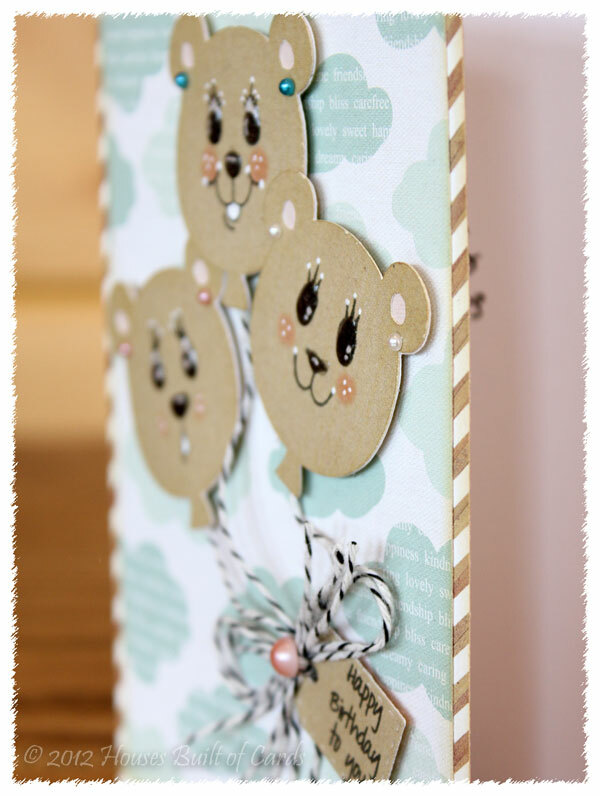 I used dimensionals to 'pop' this image up off the card a bit then tied it on with a bit of cream crochet thread. Happy Fall! The leaves are starting to turn in the mountains above my house - so pretty! This is one of my favorite time of year. I love the cooler temperatures and the fall colors. So, since it is officially fall . . . Sit back and enjoy a bit of inspiration from my fabulous design team! Gwen's shaped card is absolutely gorgeous! 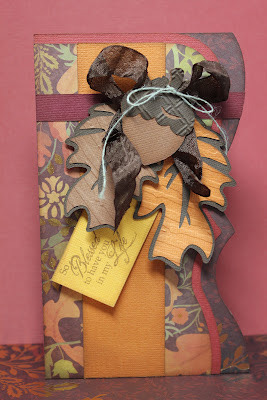 I love how she layered all of her leaf and acorn cuts, and tag with the chocolate crinkle ribbon bow. So pretty! The sentiment is from the new Happy Thanksgiving stamp set. 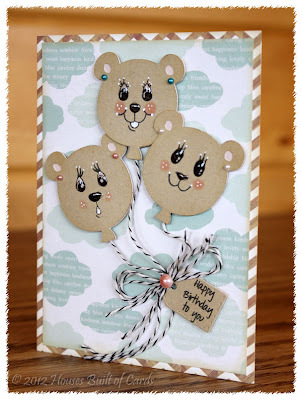 GiGi's card is soooo beautiful! I love the background paper and her gorgeous flower! Her sentiment is from the Happy Fall Stamp Set and she used Traditional Brown bakers twine. 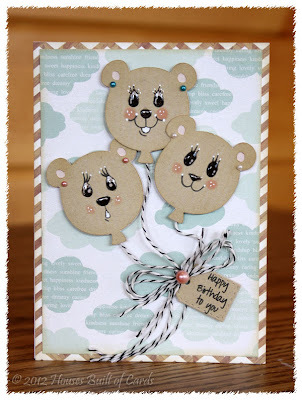 Kate's card is adorable!! I love how she stamped her fall leaves around her circle and die cut! How cute is that?! 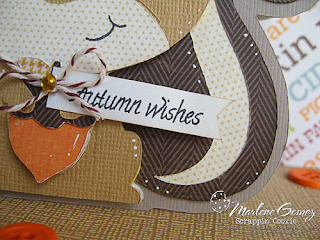 Kate used the Stampin' Around Fall stamp set for her sentiment and the leaves around frame. 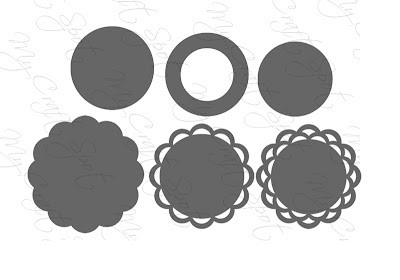 She cut the scalloped edge doily and circles from the Tiny Doilies Metal Dies. 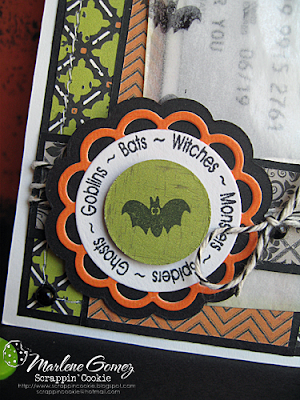 Click HERE to see all of the new Fall and Halloween stamps! Marlene from ScrappinCookie here, again. I'm here today to share with you an adorable shaped card that is perfect for this week's My Craft Spot Monday Challenge #69 - Wild About You! For FULL details on the challenge, click HERE. For my WILD ANIMAL, I choose the "Squirrel" from the new Cricut Create A Critter 2 Cartridge and turned it into a shaped card. I had the Squirrel hold a little acorn embellished with some "Traditional Chocolate" Bakers Twine. 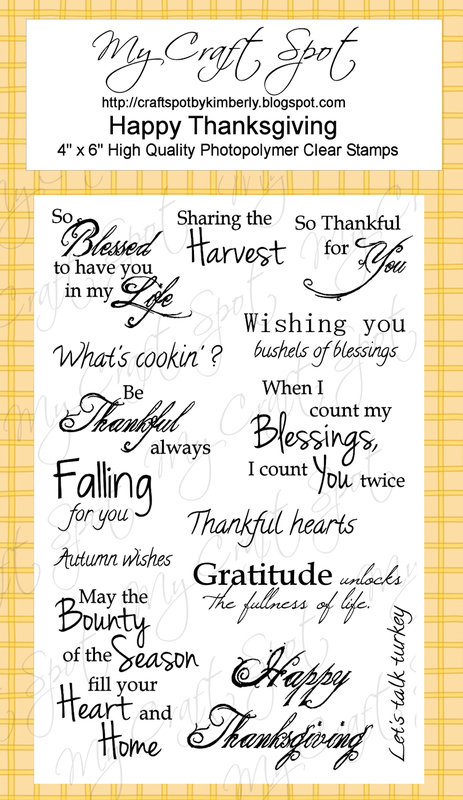 The sentiment is from the BRAND NEW My Craft Spot "Thanksgiving" Stamp Set - available for purchase HERE. If you haven't already joined this week's WID ABOUT YOU! challenge, there's still time!! You have until Monday, September 24th 11:59PM MST to enter for your chance to win this week's prize! For more details and pictures on my AUTUMN WISHES SQUIRREL Card, please click HERE. Thank You for joining me here at My Craft Spot! Hi everyone! It's Friday - yay! I hope you have fun plans for this weekend! I originally posted this tag almost 2 years ago! 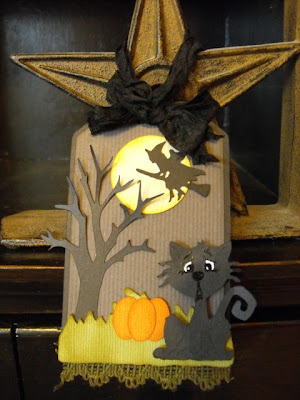 I have more pictures and a video tutorial showing how I made this tag HERE. 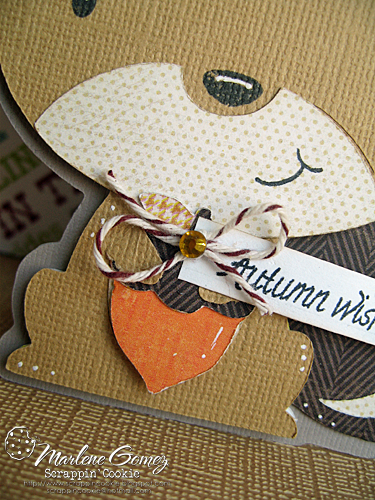 I made this tag when I very first started making crinkle ribbon. My Crinkle Ribbon has changed a bit since then - It isn't quite as 'crinkly' so it is much easier to work with and makes much better bows. Hello everyone! 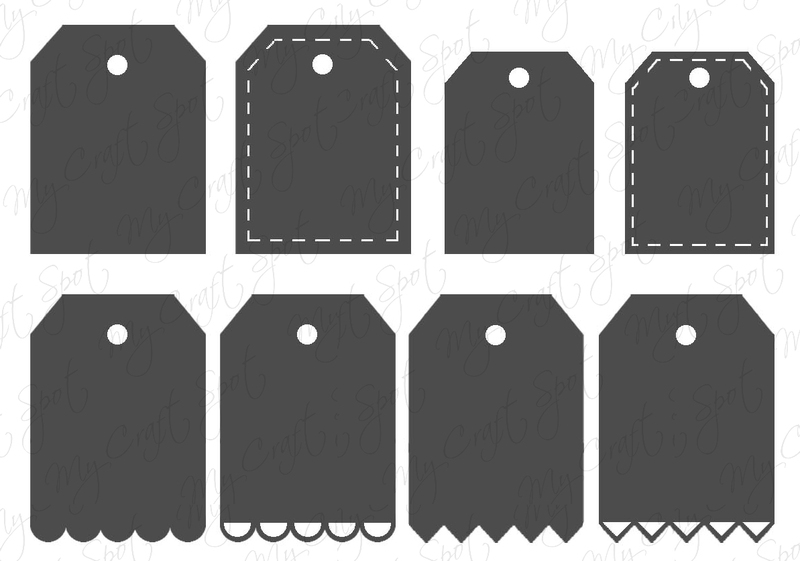 This is GiGi here from The Cricut Bug with a quick card to show you. 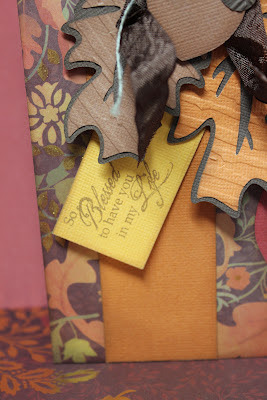 I used the NEW My Craft Spot's Happy Thanksgiving stamp set for this card. 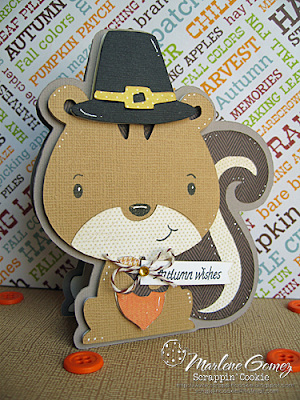 The stamped sentiment is from the Happy Thanksgiving stamp set. Such a beautiful sentiment! I added a bit of Spring Green Twine to my pumpkin for the vine. This is a super quick card. I paper pieced the pumpkin from a Peachy Keen stamp. 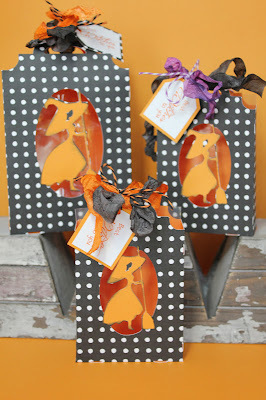 I stamped 3 of them and then cut out the center and the second layer. I inked all the edges and layered it together adding a leaf and a bit of Spring Green twine for the vine. I cut a square for the center mat and did a dotted line around the outside edge. I stamped the sentiment form the Happy Thanksgiving stamp set and added a bow to the top. 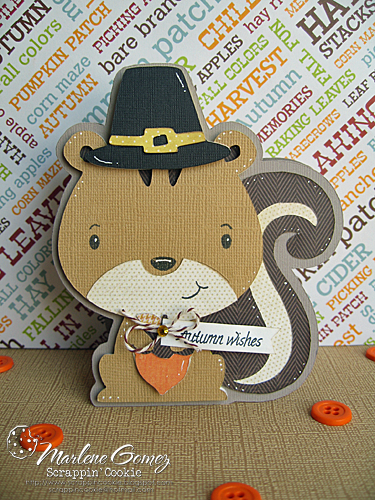 I hope you all enjoyed seeing my card and thanks for stopping in today! If you'd like to see more about this card, please come visit me at The Cricut Bug. Have a great day! I'm here today to share with you another quick Gift Card Holder for Halloween using the NEW "Stampin' Around Fall" Stamp Set. 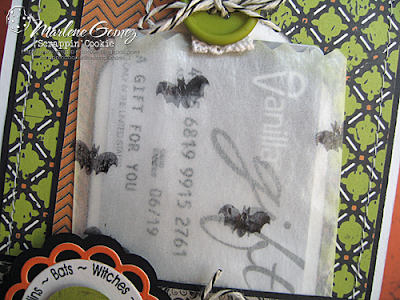 I stamped a glassine bag with the "Bat" Image from the"Stampin' Around Fall" Stamp Set using my Memento "Tuxedo Black" Ink. The "Bats, Witches, Mosnters, etc." 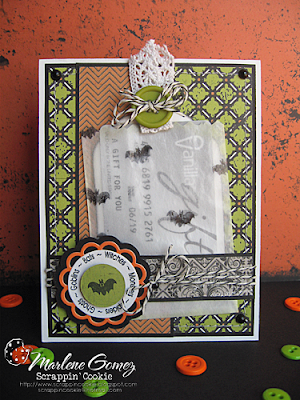 Sentiment was stamped onto a circle made using the largest circle of the NEW My Craft Spot "Tiny Doilies" Metal Dies. It was then layered onto the "Lacey Circle" and "Scalloped Circle" dies of the "Tiny Doilies" Metal Dies, available for purchase HERE. The "Bat" Image was then stamped into the doughnut circle made with the "Doughnut Die" from the "Tiny Doilies" Metal Dies and adhered with a pop-dot. The inside of the card was left simple. 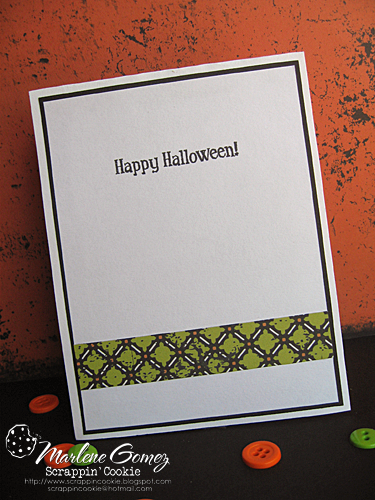 I used the "Happy Halloween" Sentiment from the NEW "Ghostly Greetings" Stamp Set. For more details and pictures on my HALLOWEEN GIFT CARD , please click HERE. More than 200 projects to inspire you! Sneak Peek Day #3 - Best Witches To You.